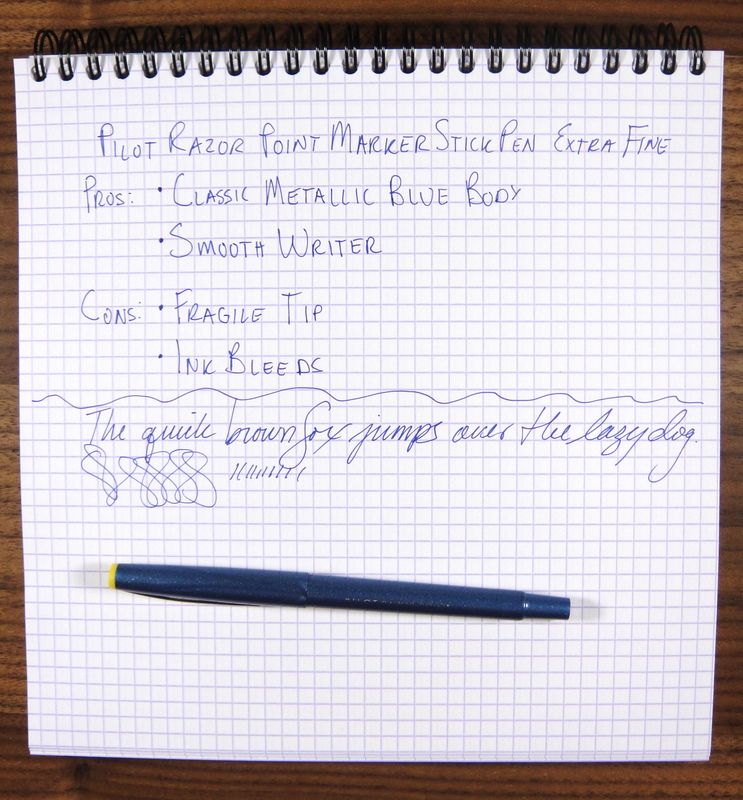 Much like the Pilot Precise, the Pilot Razor Point is a classic. 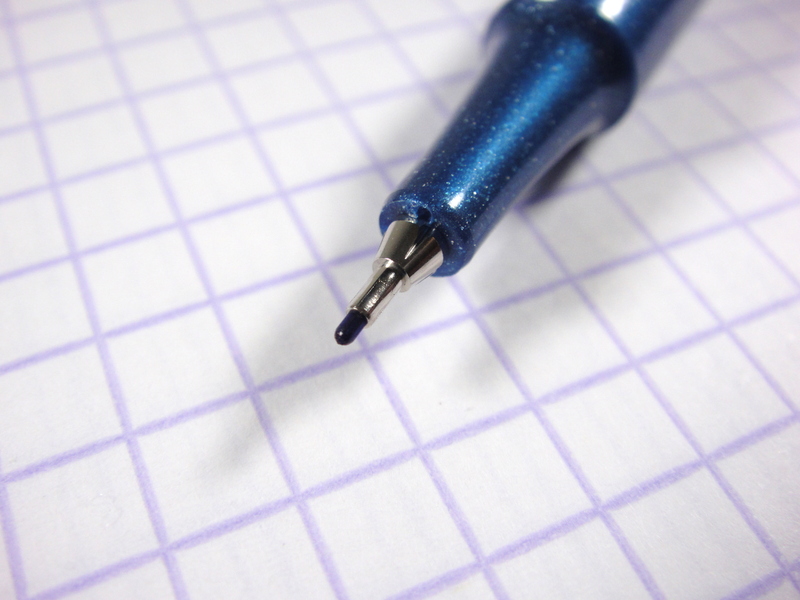 The Razor Point is a simple felt tipped pen that (to my knowledge) has remained unchanged for at least a decade now. The completely opaque metallic blue plastic body and the thin metal clip are clues that this pen was designed quite a while ago. I personally find the design refreshing as I am so used to loudly colored pens with horrible branding and translucent bodies. The Razor Point has an extra fine felt tip that writes with a smooth wet line and manages to stay true to its specified 0.5mm width. There are a couple downsides to the Razor Point that its modern peers do not share. First off, the ink in the Razor Point tends to bleed more than other porous tip pens like the Copic Multiliner or the Staedtler Triplus Fineliner. Second, the tip is not particularly durable; in my experience the tip gets worn out before the pen runs out of ink. While there are better felt tip pens out there, the Razor Point is really quite likeable and I think worth a try if you are curious about it. An absolute blast from the past. I don’t think I’ve used one of these pens for about 12 years now, but I remember thinking they were state-of-the-art at one point (no pun intended) years and years ago. Thanks for the trip down memory lane! Thank you for the comment! I always think it’s fun to test classics. There are at least several decades old…my father used them all the time when I was a kid since he had such small precise engineer’s handwriting. Thanks for the memories! Thank you for the comment! The Razor Point is a real classic.